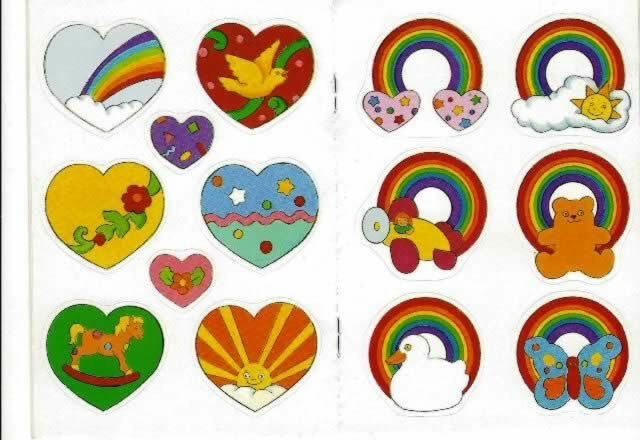 Little Rainbow Stickers by Anna Pomaska. This is a bright cheery collection of 30 pressure sensitive stickers. This will keep young children amused and entertained. An image of the book is shown for your information, and if you click on the image a picture showing an example of the stickers will be shown.